He’s pretty much been dubbed the health and fitness guru of 2016… so when Brandon bought me one of Joe Wicks’ books back in September for my birthday, I was excited to see what all the hype was about! At the time we were on a pretty strict cutting diet and as his recipes leave out calorie and macro counts, we decided not to put it to use straight away. However, after a couple of months of more intuitive eating, enjoying the Festive season and recovering from illness it seemed rather fitting that we get started with Lean in 15 to get things back on track! 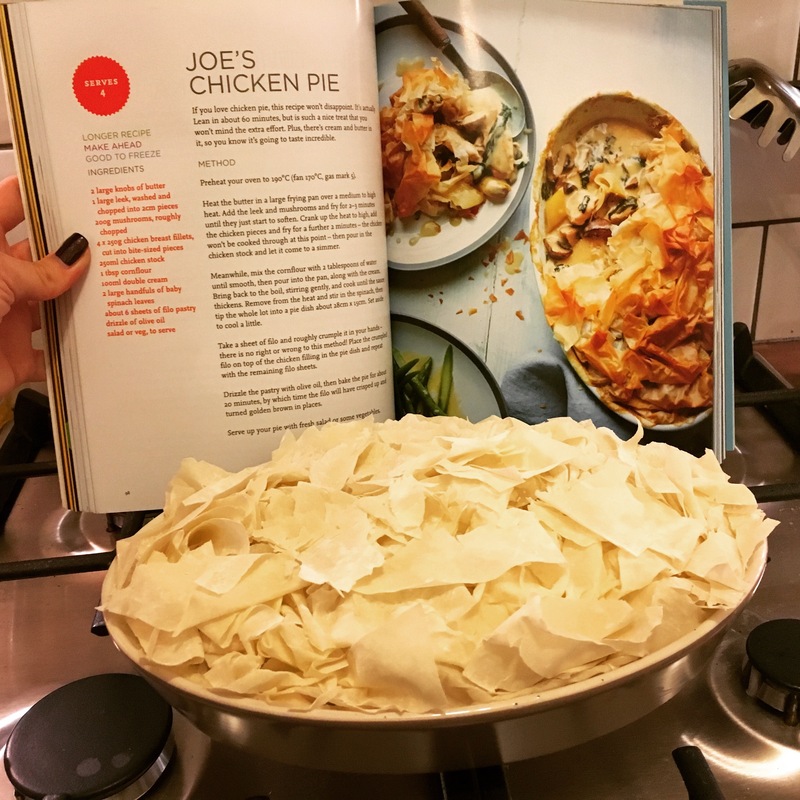 On Monday night, I was still feeling pretty rubbish so we decided to make the hearty-looking Chicken Pie first. I’d never made a pie until then- we actually had to buy a pie dish – so I was pretty excited for this right of passage in the kitchen! It was very simple to make, with ingredients that were easy to get hold of which is a bonus for a first-timer like me! It also only requires 20 minutes in the oven after all the prep is done – so it’s perfect for a mid-week dinner. As a pie-rookie, I don’t have anything else to compare it to, but if I do say so myself it was really tasty! Both Brandon and I wolfed it down and went back for seconds. This probably defeats the purpose of it being healthy but we’re both recovering from being pretty unwell the last few weeks and it was exactly what we were needing to feel a little better. Next up was Tuesday night’s Asian Duck Salad! I love all things Asian when it comes to food so I was slightly underwhelmed when I didn’t have much of an appetite for it. Something beige and carby sounded far more like what I was wanting. Nevertheless, we’d spent the money on all the fresh stuff and there was no way that was going to waste, so we gave it a go! I was actually pleasantly surprised… We cooked the duck for slightly longer than the 1 and a half minutes recommended as it was still looking pretty pink at that point and other than that it turned out that it did in fact hit the spot and I was glad to be nourishing my body properly with ACTUAL GREEN VEGETABLES! I was working late on Wednesday and was not feeling well at all so didn’t eat much. It was Thursday before we returned to Lean in 15. We were heading out to see Jack Whitehall performing at the Edinburgh Playhouse after work so we needed something that didn’t take long to prepare and cook. It was Lamb Koftas on the menu and they did not disappoint. I prepped them in just under 10 minutes and they didn’t take long under the grill at all. We’ve previously bought similar pre-made products from the supermarkets and I never will again! These were fresh, full of flavour and we got a lot more for our money by buying a big pack of lean lamb mince. I didn’t get a picture as they were not as aesthetically pleasing as the other dishes we’ve tried so far but don’t judge a book by its cover! Friday night’s dinner was perfect and one the yummiest dishes of the week, Steak with Chorizo and Kale. Again, it was another really quick dish to make – especially if you like your steak rare like I do! 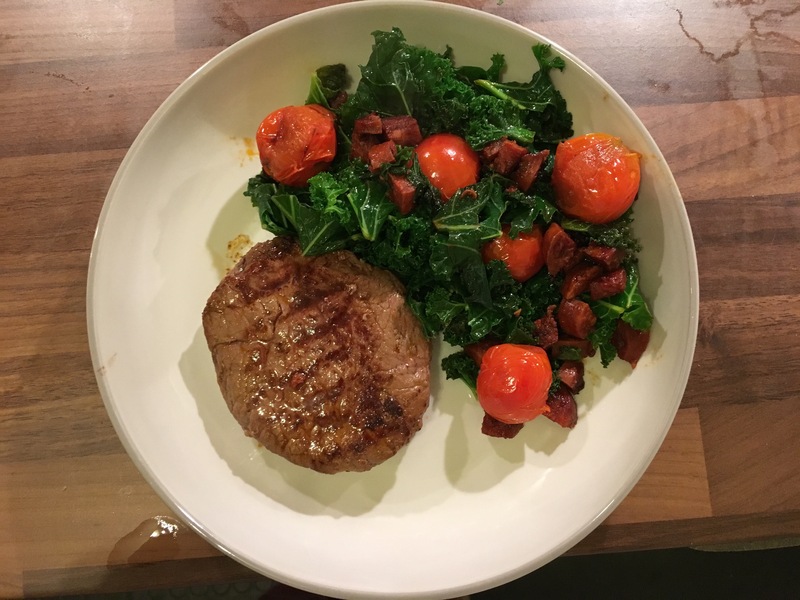 I wouldn’t normally have paired steak and chorizo and I’d never actually tried kale before but I was committed to following the recipes by the book. As a result, I discovered I really like kale. I also felt fully satiated afterwards – which I was dubious as to whether I would with the lack of carbohydrates on the plate. I’m loving following Lean in 15 so far for 2 reasons; the meals are really tasty and I’m having a lot of fun in the kitchen! 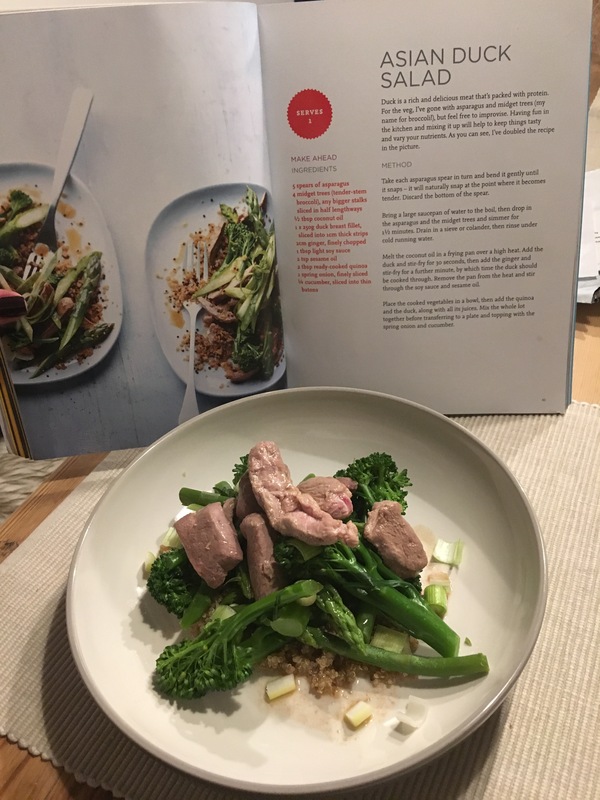 I highly recommend anyone looking to start following a healthy eating plan to get themselves a copy of one of Joe Wicks’ books. You won’t regret it! Has anyone else tried any of his recipes before? What did you think?